It’s that time again. Fever has struck and frankly with each passing day it becomes more and more of an epidemic. We should’ve been prepared, we all knew it was coming of course. One of those cyclical diseases that strikes every 4 years – same time, same symptoms, same outcome. But the cure isn’t housed in some doctoral encyclopaedia, nor is it ingested via pill or syringe. The antidote comes in that most pleasurable form – International football and in the most lavish amounts possible. For what we all suffer from is World Cup Fever. 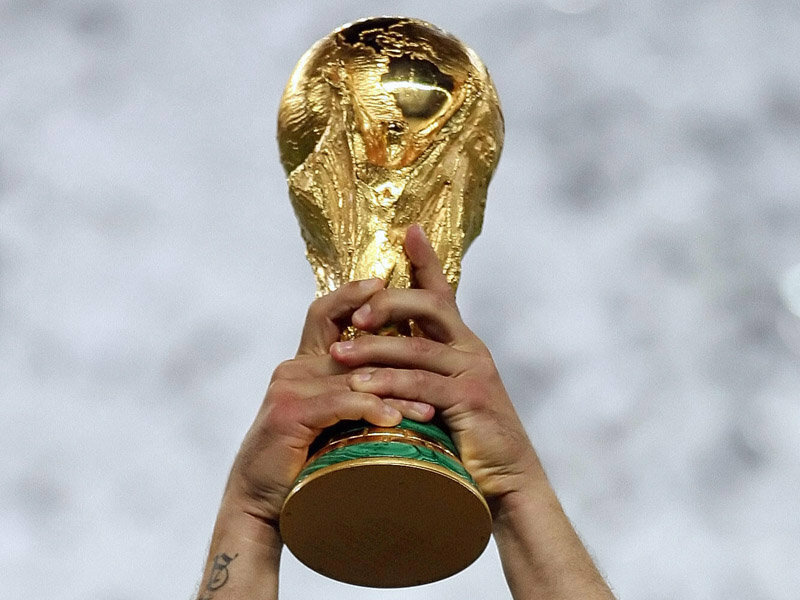 June of a “World Cup year” is the culmination of 47 long months of arduous torture and longing. In the immediate aftermath of a World Cup there are the initial early stages of major football-withdrawal symptoms; tears, tantrums and transfer-talk. Luckily the Premiership season swings into life just when it would appear that life no longer required living. 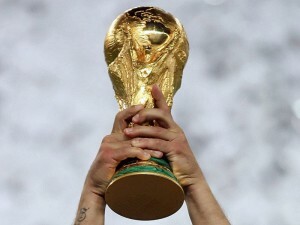 The eager football fan is appeased and gorges on league, cup and Champions League delicacies all the while blocking out thoughts of Jules Rimet and that glistening golden trophy. The Euros, Copa Americas and African Cup of Nations – inferior brothers to their loftier kin – of course present a large degree of comfort to us football fanatics. But then the ripples begin, and ripples soon become waves. The qualifiers start. Excitement surges through the veins of all the hopeful nations. It’s just a teaser though, we’re being mocked once again because we’re still a full 2 years away from the main event. As an Englishman (yet to experience a qualifying campaign here in Aotearoa) qualifiers involve a blundering, painful struggle against a variety of lowly Baltic states and principalities – Macedonia and San Marino are staple opponents – and the boredom generated by such affairs makes the shining lights of Rio seem far off. But as qualification begins to loom tantalisingly on the horizon, and the spotlight start to veer towards the World Cup destination so the excitement begins its now seemingly endless rise. Brazil has been plagued with demonstrations, destruction and even deaths. Do the football fans around the world really care? Harsh to say but probably not. Morally we do; in reality it’s all about the football now. It’s so close and we all know that Brazil are going to put on one hell of a show. Squads are announced, wallcharts are printed or purchased, sweepstakes are completed. Twitter, Facebook, and all across the web armchair pundits offer their opinions. Pub discussions rocket and excuses are already being planned for late arrivals to work, early exits or just plain “sickness”. And then finally, finally after all those long, dark World Cup-less days the moment is finally due to arrive. A feast of football from the finest banquet the world can offer. Fans from all nations descend upon Brazil ready to party in sporting paradise. There’s a hint of envy (well, jealousy, let’s face it) at those that can afford time and money to make the pilgrimage but our consolation is epic. The greatest players, 3 matches a day, four and half hours of sensational football. And it’s not just the games of course, we’ve got build-up, analysis, post-match reaction, highlights. By the end of the day we’ve known every moment of each match in gooey detail, and back to our mundane lives we go, for a few fleeting hours. And then the cycle starts again. Hour after hour, day after day, for 4 glorious weeks. It doesn’t get any better. Whether we’re watching one of the favoured South Americans or one of the no-hopers, it doesn’t really matter. The possibility of a stunning strike, silky team goal or scandalous sending off, the excitement never dims. 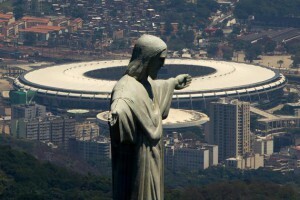 A mere 2 weeks from now the eyes of the world descend on the spiritual home of football. It’s a worldwide pandemic – World Cup Fever has struck.